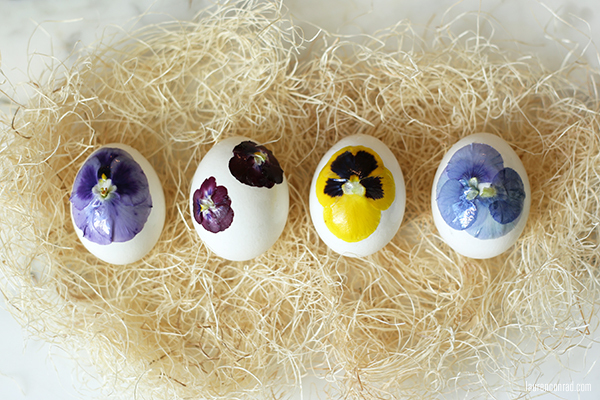 When we began decorating our eggs with flowers, we had no idea how they would turn out. But we ended up being so pleased with the results! I will definitely be using this idea year after year. Note: Since you have to apply the flowers to the eggs petal-by-petal, it can be a somewhat long process. But I actually found this DIY fun and therapeutic (especially since my team and I were chatting while we were doing it). However, I could see how it could start to feel tedious for someone else. So know that this craft requires a bit of time and patience going into it! 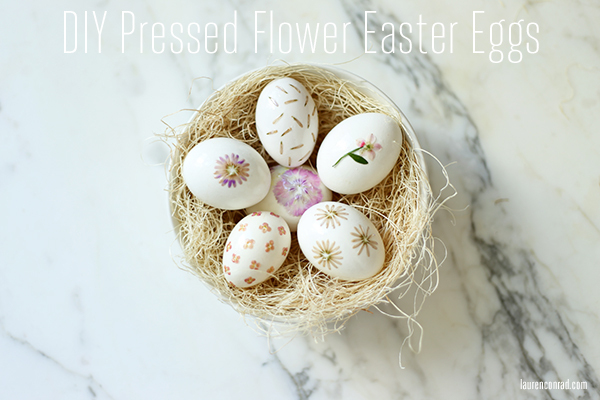 Gently remove the blooms from their stems and reassemble on your egg petal-by-petal. 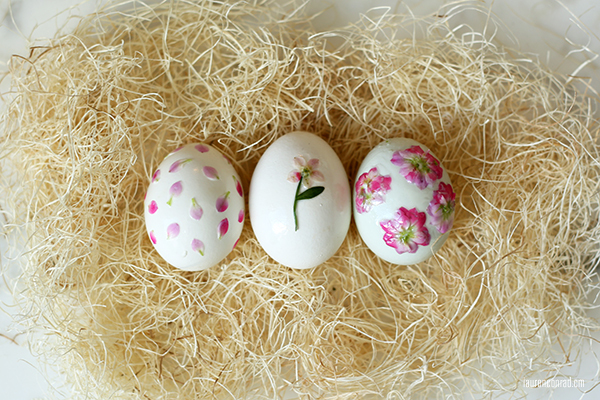 Use a foam art brush to spread glue onto the egg for larger petals and a toothpick for smaller ones. 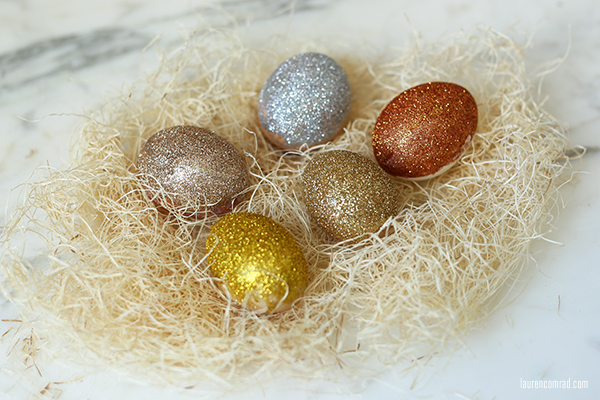 This egg decorating idea is relatively simple, but you can’t go wrong with a little sparkle, in my opinion. I don’t know about you, but glitter always puts me in a festive mood. I especially love the ombre effect we created by using several different hues within the same color family. Pour your glitter out into a bowl. 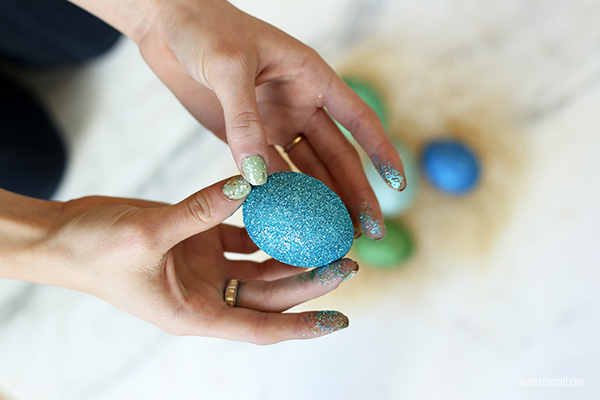 Spray one side of your egg with the adhesive and dip in glitter. Gently brush off any excess glitter and allow the glue to dry completely. 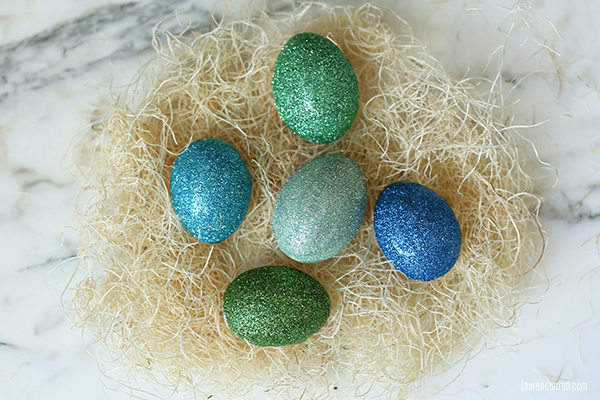 Repeat on the other side, or depending on how you are displaying your eggs, you may be able to leave as is and just display them with the glitter side up. Note: Since glitter can get messy, you will want to lay down a tablecloth or do this craft outside. 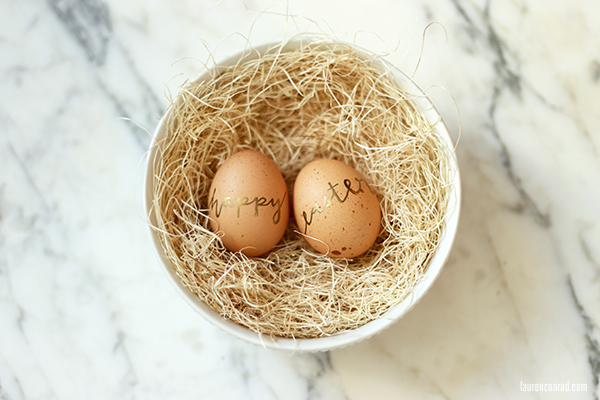 Are you going to give these egg decorating ideas a try?